Drone Lab, a 4-voiced analog drone synth, rhythm generator and FX processor. According to its designers: capable of generating rich, textured soundscapes, hypnotic drones and complex rhythmic sequences! 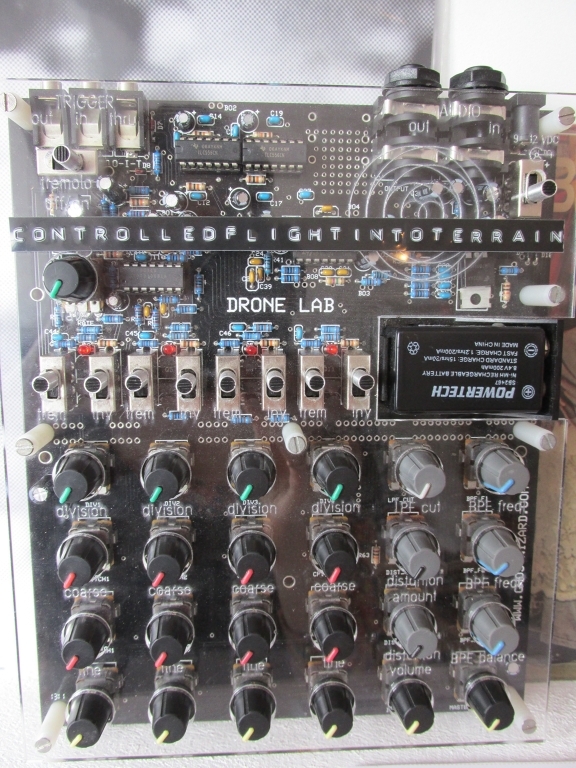 Drone Lab features a series of filters and distortion circuits as well as an audio input jack, allowing it to be used as an effects processor or for external audio signals.